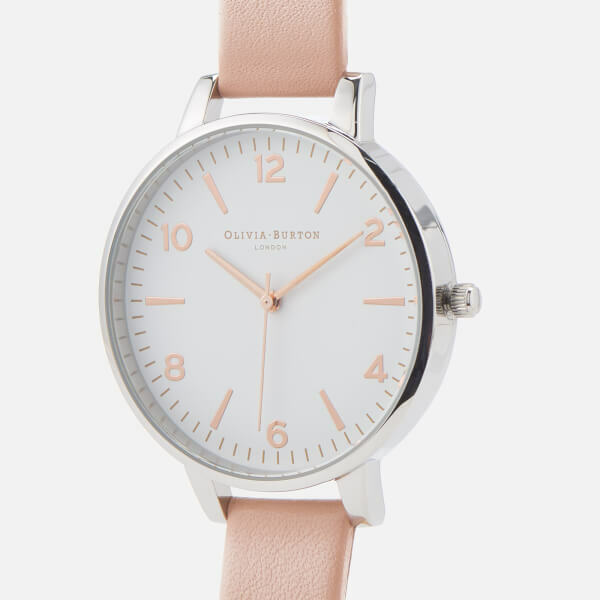 Women’s ‘Modern Vintage’ watch from Olivia Burton. 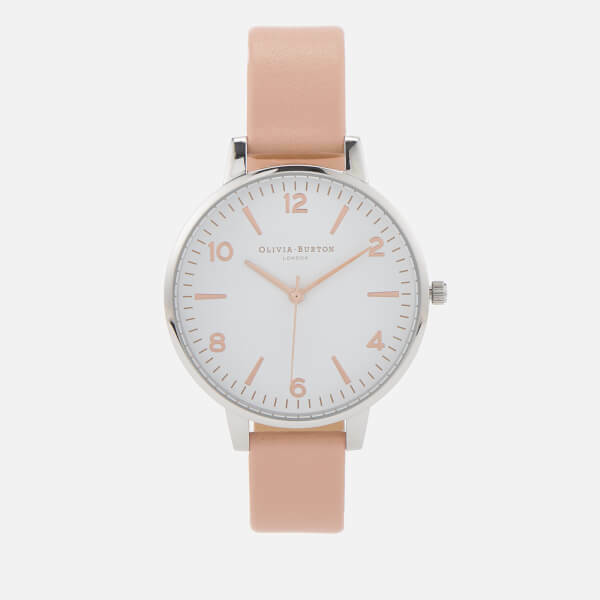 Blending vintage style with a modern design the watch is crafted with a classic, white, big dial and comprises a silver tone case. 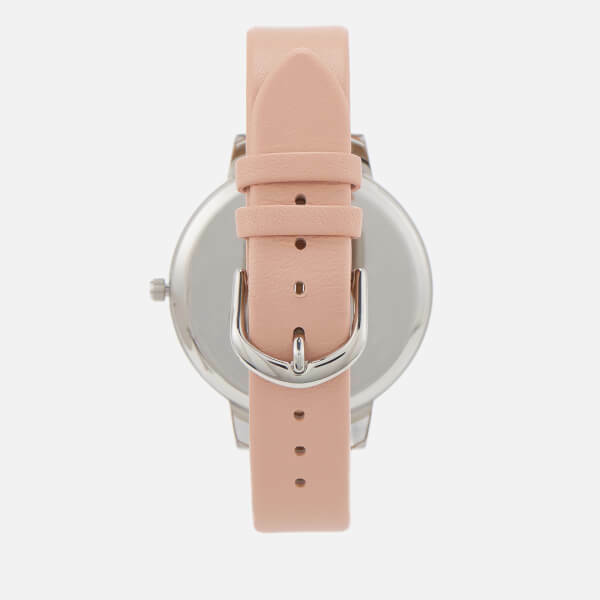 The timepiece arrives on a soft, dusty pink leather strap and boasts a traditional buckle fastening. 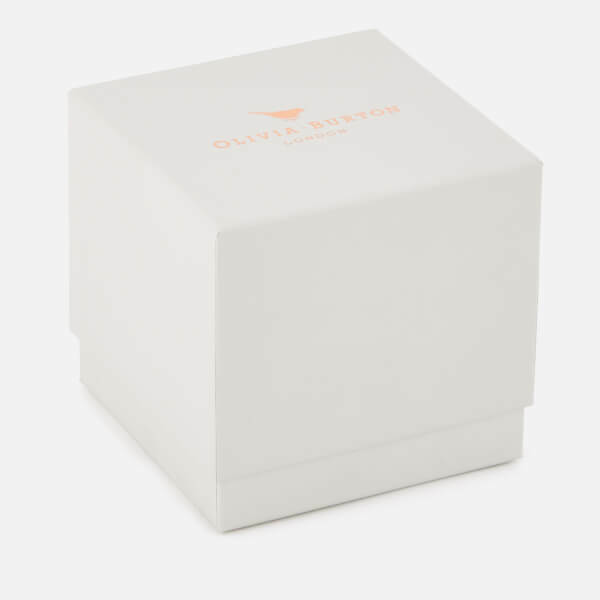 Complete with Olivia Burton branding to the dial, the back of the case and embossed to the strap’s underside. 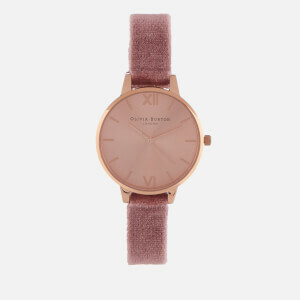 The watch functions on a three hand, Japanese quartz movement and a two year manufacturer’s guarantee is included. 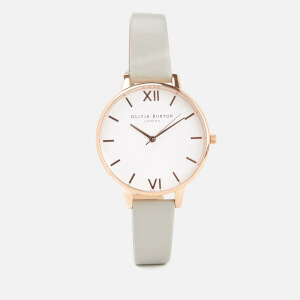 Case: Silver Plated Stainless Steel. 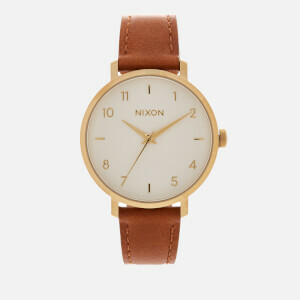 Strap: Leather.